When you order a drink, or a round of drinks, in bars and restaurants all over Granada, you will also receive a tapa for each drink. As your rounds progress, so do your tapas. The number of tapas corresponds to the number of drinks, so if you opt out of a drink in a round you are also opting out of the tapa for that round. As a tourist, in Plaza Larga in the Albayzín for example, you might find that the waiter steers you towards the menu to order raciones instead of tapas. Don’t be shy. Free tapas is an ingrained part of Granada food culture so, unless of course you want to order a proper meal, just ask “¿Hay tapitas? Is there tapas?“ and they will bring you a little something with your drink. The quality and variety will vary from bar to bar. It may also improve with every round your order. You might, for example start off with a small plate of potato crisps draped with anchovies and graduate to something like albóndigas or croquetas in a couple of rounds. In some places you may even get a choice of tapas. If you are vegetarian it is worth pointing this out when you order your drinks: “Soy vegetariano(a) I am vegetarian” Unfortunately this might mean that your tapas are not quite at elaborate as others and it is actually not always a guarantee that you won’t receive something containing tuna or jamón. With this in mind you might want to add “No como carne ni pescado I don’t eat meat or fish”. Click here for some essential Tapas Vocabulary. Tapas times vary from place to place but generally you will find it available between 13.00 and 16.00 in the day and 20.00 until late in the evening. The down period is when the kitchens tend to be closed for business but you may still be able to get a barman to scrounge up a few pieces of bread and cheese if you ask nicely. 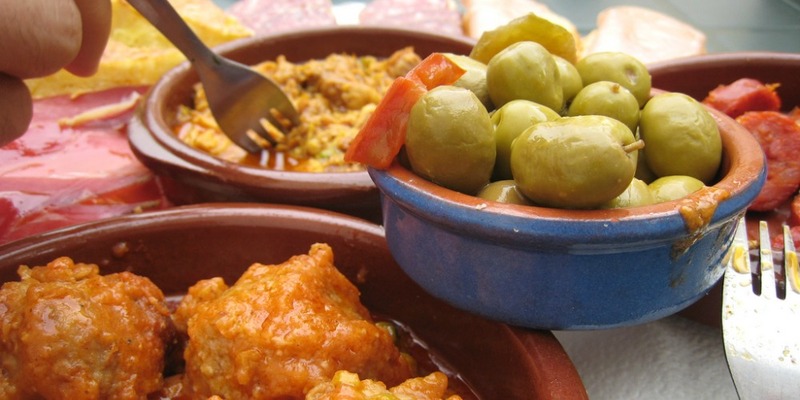 One way of experiencing what the city has to offer is to take a guided Tapas Tour. 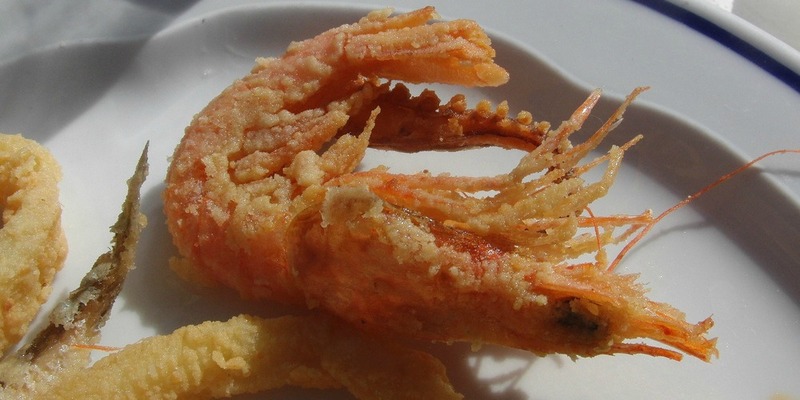 In the meantime click here for our GranadaSpain Tapas 10 recommendations. Click on a location marker to bring up the info box and then select ‘Directions from’ or ‘Directions to’ to request directions. You can also drag the little yellow man onto the map to get a street view.